From catheters and stents to pacemakers, implantable medical devices help extend and improve the quality of patients’ lives every day. Continued use inside the human body, however, demands many requirements on both the overall design of the device, and the material(s) it’s made of. This is why not all plastics or elastomers are suitable for implantable devices. For starters, the material must have long-term mechanical stability under the conditions inside the human body. Flaking, cracking, pitting, shearing or otherwise disintegrating could prove deadly for a patient. Materials for implantable devices must also have very low to no toxicity, therefore they must not leech out unintended compounds that could disrupt the complex biochemistry of the patient. The material must be very chemically inert. The material must also have the proper flexibility for its role, so that it can bend along with the surrounding tissues, instead of impacting or puncturing nearby organs. The material must be resistant to whatever sterilization method is to be used for the device before it is implanted into the patient. Polymers susceptible to hydrolysis (chemical breakdown caused by water or steam) can’t be used for devices that will be sterilized by steam. Plastics with low melting points are also unsuitable in devices that are autoclaved. Of course, materials that can withstand many different sterilization processes (e.g. ethylene oxide, gamma ray, autoclaving) have a large advantage, and play a huge role in the medical industry. With the rise of drug delivery via implantable devices, another increasingly important requirement is the ability of the material to be loaded with pharmaceutical agents that slowly release them over time. This method of drug delivery has many advantages over pills and injections, one of them being increased time within the therapeutic window. Finally, implantable medical devices are, after all, still devices which need to be made economically and consistently in order to be safe, effective, and viable in the market. Therefore, materials that are easily molded or extruded in ways that don’t compromise all the other requirements above, can be considered great candidates for these types of products. One material that excels at such demands is silicone, which is why medical grade silicone is often the material of choice for implantable devices. Due to its extreme chemical inertness, durability, stability, wide operating temperature range, and low toxicity, silicones find their way into many applications in consumer goods and in industry (like sealants and lubricants). Medical grade silicone—specific silicone formulations that have been extensively tested for human biocompatibility—brings these benefits to implantable devices. Medical grade silicone’s exceptional chemical resistance and high heat tolerance make it perfectly suited for all the major sterilization methods used today. Being pliable and soft, it’s also great for prolonged contact with delicate internal tissues and skin. As an added benefit, it can be can be compounded with various pharmaceuticals, and released at a steady, controlled rate once implanted. The fact that medical grade silicone doesn’t require high temperatures or pressures for injection molding or extruding, makes it a very attractive material for device making since the cycle time per part will be short, making the end product inexpensive to make. If high volume production isn’t necessary, silicone can be compression molded, further adding to its manufacturing versatility. 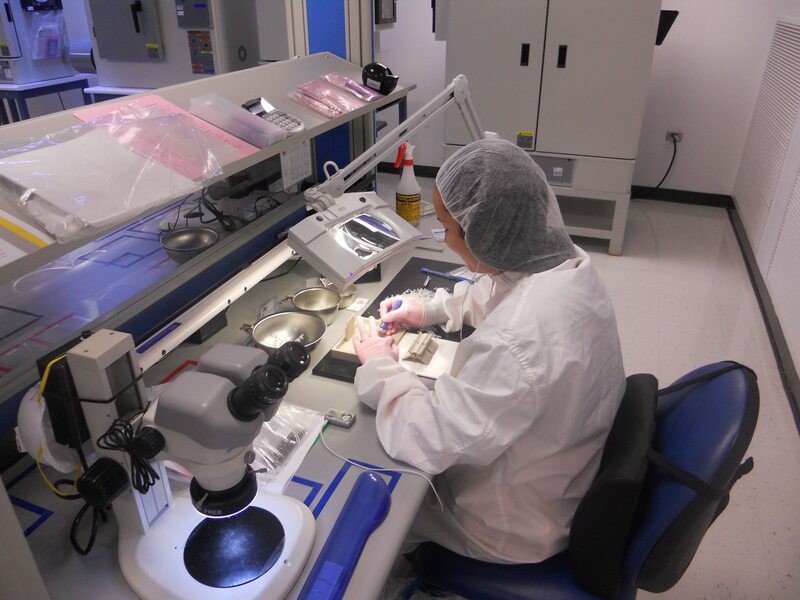 Here at ProMed Molded Products/Prototypes/Pharma, we have extensive experience with manufacturing implantable devices with medical grade silicone. By utilizing our technical expertise and robust medical device manufacturing capabilities, we propel our customers’ ideas from design through prototype to full production by delivering medical molding for life.